This is a tale of two dresses. Most people might not know that I started making my clothes in the fifth grade. I made all my clothes all the way through high school and continued to sew after high school and even after I got married. I even made my husband a double knit suit! That tells you how old I am. For the last 25 years or so I have not enjoyed making clothes, except Halloween costumes or a baby christening gown or two. Sewing quilts and bag making have taken over. Recently, with all the beautiful garments I have seen on Instagram, I have had the bug to make garments again. With a few tweaks you can get the best fit, especially when you have figure flaws that are not considered in ready to wear clothes. Some of the indie patterns out there are really cute, but I do not like PDF patterns. All that taping together is tedious. I ordered the Bettine dress pattern from Tilly and the Buttons. It's a real paper pattern. The first one I made is the grey dress. It is made of double gauze. 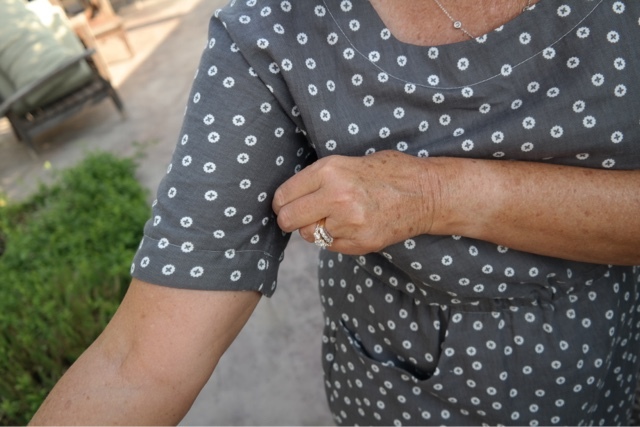 The fabric is so soft and easy to sew. The drape is wonderful and this dress is so comfortable. I am really glad I made this one first, because if I would have made the linen one first, I would never make another dress again. That is a story for the next post. Today I will tell you about the double gauze version. 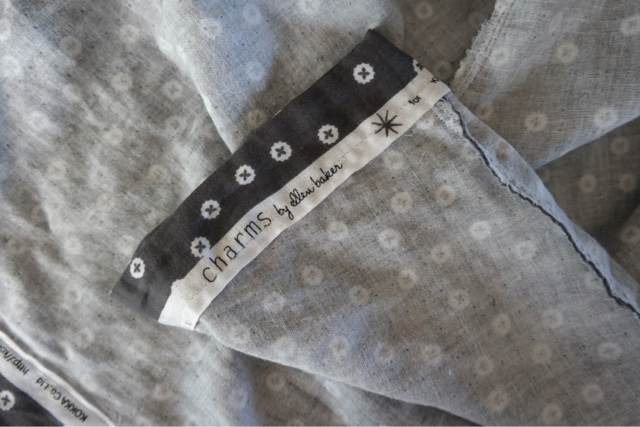 Fabric: Charms Double Gauze-Plus Dots in Charcoal by Ellen Luckett Baker for Kokka purchased at The Intrepid Thread. 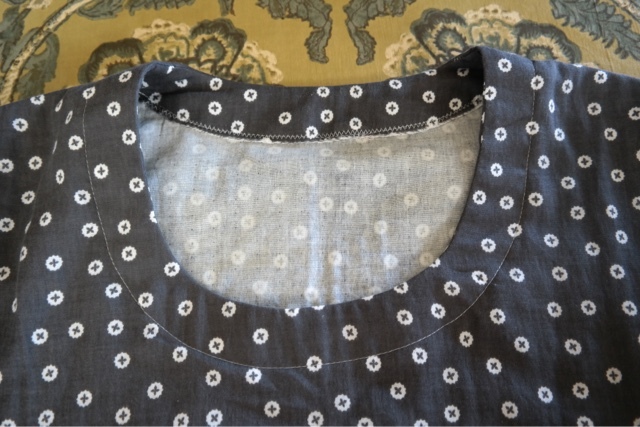 -Bodice- I am short-waisted, so I shortened the waist length by 1". -Skirt- Lengthened skirt by 2" when cutting it out. - Straightened skirt side seams so it goes straight down and doesn't curve in like a tulip skirt. 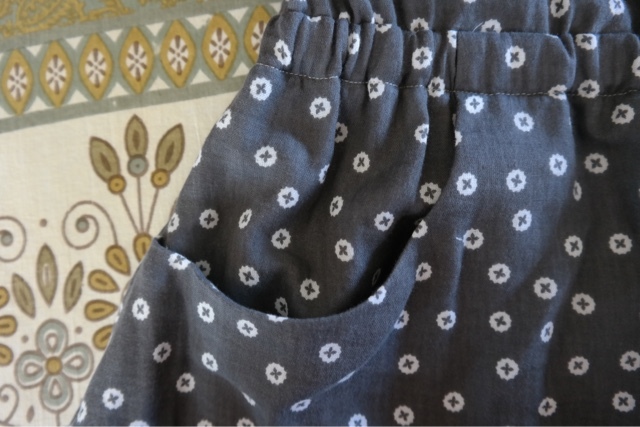 -To finish the sleeve and hemline I used a facing made from a 2-1/2" strips along the printed side of the selvage., and topstitched it down, instead making the cuff. This dress is cute and flattering on you and it looks so comfortable. How does it feel to be making clothes again, I toy with the idea. 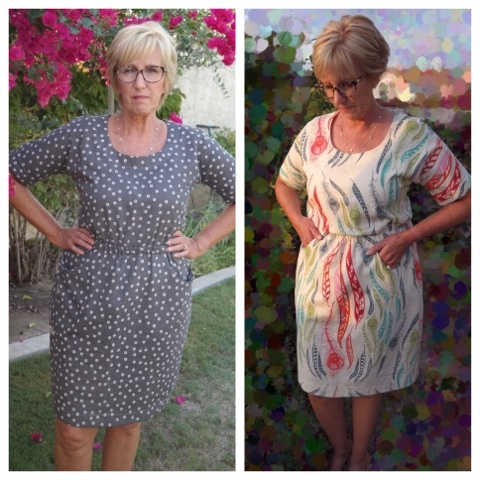 There are a lot of bloggers offering ideas and support for sewing now. These are great Di! I have to admit that I smile a little bit thinking how a couple of years ago you claimed you would never sew clothes again. I'm glad you changed your mind since these are so pretty. I'm glad you mentioned straightening the skirt side seams. I think this dress is really cute, but I don't think the tulip skirt would be flattering on me. 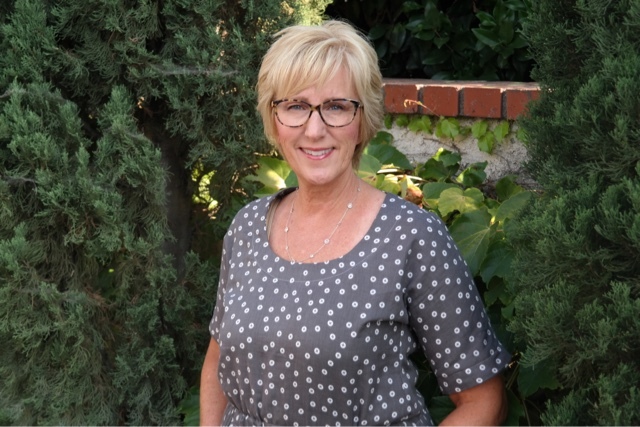 The grey dress looks fabulous on you Di! I am impressed with your ability to alter a pattern to give such a great fit! I really like this style dress....and think it's great that you e made your clothes when younger!!!! Such a cute dress! Looks great and comfy too. I have the pattern taped together (I hate doing that part but I do lol) and my fabric washed, now I am just waiting for the courage :) I do know I am planning on lengthening it a bit and raising the neckline a bit based on others, but I will take your changes for consideration as well :) It looks just lovely on you! This looks great, Di! Love it! beautiful finish! This project really turned out perfect! OOh , love this one too - and isn't double gauze just divine to wear! !